In The Garden, Kantaroff conveys her life-long thematic interest in the relationship between woman and man. 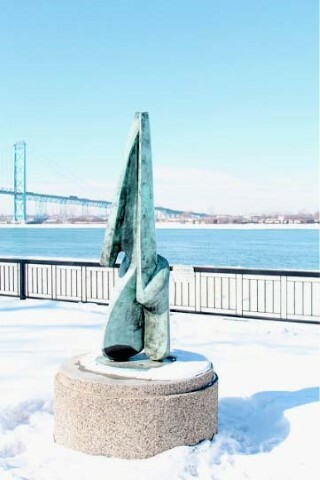 "It has always been there for me," says the artist. "In the beginning I wasn't even really aware of it, but others could see that my shapes were changing, the harder lines were softening, becoming more fluid." 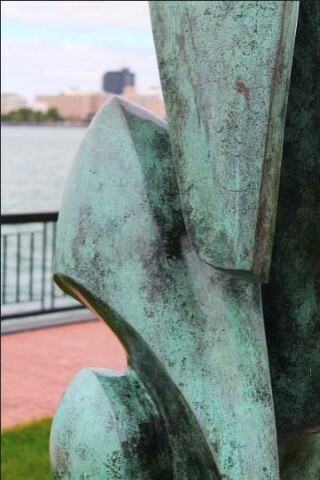 In this piece, it is the interdependency of the two figures that is being placed at the foreground. Rather than marking a clear separation between the male and female halves of this meeting, Kantaroff draws the viewer's attention to their blurring similarity. Both figures balance their hard and soft elements, making it impossible to mark the defining characteristics of gender. The two halves encounter each other as equals, and in their coming together they illustrate a simple but profound desire for free interaction and clear communication. 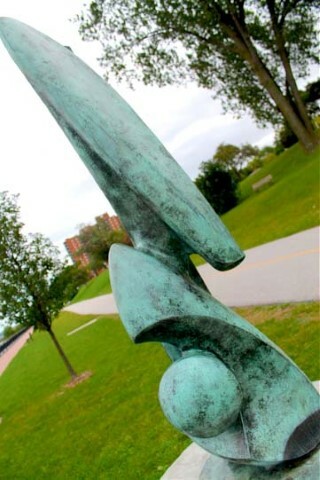 One of Canada's most recognized sculptors, Maryon Kantaroff, was born in Toronto in 1933. She studied Piano at the Royal Conservatory of Music and majored in Art and Archaeology at the University of Toronto, receiving her honours degree in 1957. She was assistant Curator at the Art Gallery of Ontario from 1957-1958 and then went on to pursue postgraduate studies in American Ethnology at the British Museum in London. While in England she also studied at Reading University, the Sir John Cass College of Art and the renowned Chelsea College of Art. In addition she has been an Art Critic for the British Broadcasting Corporation and Eastern Europe Broadcasting. 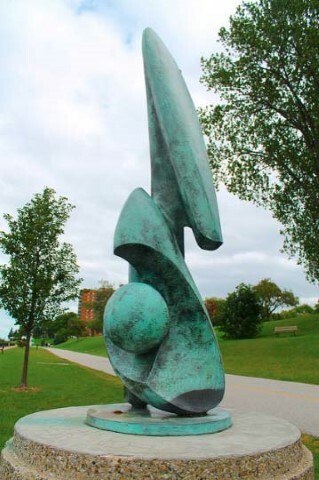 At home, Kantaroff has been a major political and philosophical presence in Canadian Sculpture for more than thirty years. She is a founding member of the Toronto New Feminists, and continues to be committed to the human rights projects of Amnesty International and Artists for Peace. 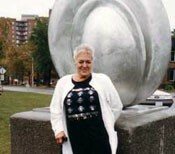 In 1974 she established the Toronto Art Foundry, which she operated until 1988, casting bronze sculptures for herself as well as other artists across Canada and the United States.